Preetesh and Fabio’s Last Day! 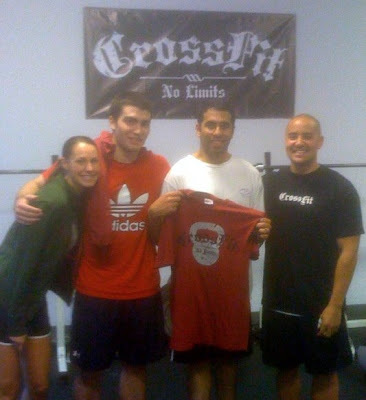 Have fun back at school Fabio and Preetesh best of luck in Boston! It’s been great training with both of you guys. Keep CrossFitting! *Congrats Preetesh for a PR (7:00) on Fran beating your previous score of 12:55! Don’t know why it looks like were in a sauna?